Where have you been hiding you ask? No posts for two weeks? Nothing to report? Well here’s your answer. I was reading all 7000+ pages of Homestuck. Well, that was one week. The other week was spent devouring the 1200+ page omnibus of the Chronicles of Amber. It was actually the webcomic that prompted reading Amber top to bottom again. The two projects have a lot in common: an expansive multiverse, complex time travel shenanigans, protagonists tied to classic fortunetelling tropes. And they’re both more than a little confusing in the end. The Chronicles of Amber span ten books in five book sets. The first five books deal with Corwin, exiled prince of Amber, and the second five tell the story of Merlin, Corwin’s son and scion of the combined houses of Amber and Chaos. I am going to segment the review a bit because the two stories are very different from one another. Corwin’s books feel like a classical fantasy, with some interesting modern elements added for shenanigans sake. Merlin’s is much more a coming of age story combined with some deep metaphysical conflicts. Confession time. I accidentally left my Kindle at home over the Thanksgiving vacation and was forced to pick up some reading material in the airport. I wasn’t super excited about The Falling Machine, but it had a pretty cover. And I was in a hurry. Publishers, take note. There is very little of substance to Falling Machine. It is a wannabe comic book that draws so heavily on its inspiration that there isn’t much left for the reader to discover. 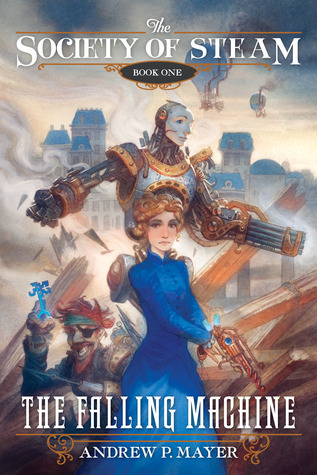 If you’re at all familiar with the steampunk genre, or the plot of Watchmen, you’re already covered most of the territory. What fills in the gaps is bland but inoffensive writing. On the plus side, there’s not much in the way of technobabble, but the science is so flimsy it might as well be a fantasy. Okay, I’m not sure if I wasn’t paying attention to book two, but The Evolutionary Voiddefinitely jumped the tracks a bit and careened off into the nebulous science fantasy genre. Not that there’s anything fundamentally wrong with science fantasy, but the effect is sort of like going to a Star Trek convention, passing out on the last day and waking up to the cosplay contest of an anime con. Not unpleasant per se, but definitely disconcerting. Where book two, The Temporal Void, was mostly about the events within the Void, and by extension Edeard’s story, book three takes us back outside to resolve the ongoing problem of the Living Dream pilgrimage. The majority of the narrative is spent picking up plot threads from the first book that were left withering to make room for the copious number of dream chapters in book two. I should note that I started Evolutionary Void almost two full years after reading the first two books, and spent a substantial amount of time trying to remember who the hell everyone was with mixed success. Most of the protagonist groups have finally aligned against the forces of the Living Dream or the Accelerator Faction, but haven’t necessarily teamed up. All that aligning means less in the way of Ludlum-esque chases and more pseudo-scientific technobabble along with a fair portion of posthumanist philosophy. Metaplanetary and I have a bit of an odd history. I picked up a copy of the paperback in a tiny bookstore in Acadia National Park back in 2002. After reading the whole thing in basically two days, I desperately wanted to find the sequel, with the rear cover promised had come out already. Of course it hadn’t and it would be another there years before Superluminal would see the light of day, and in the meantime I forgot about the whole thing. 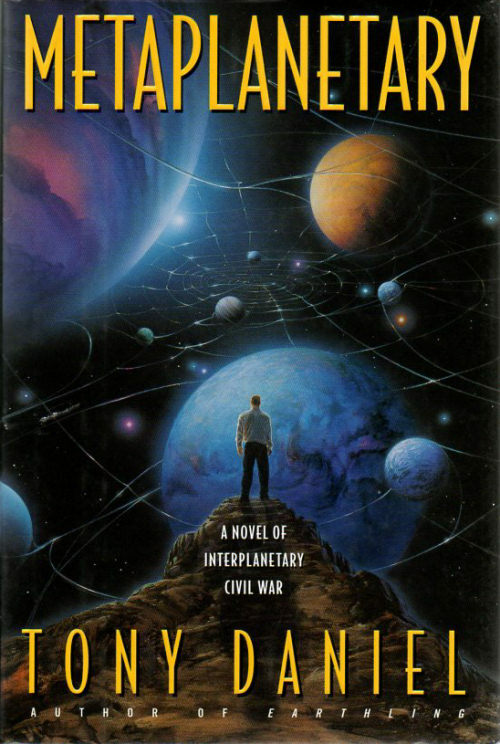 Going back toMetaplanetary hasn’t quite lived up to my expectations, but the book is still a solid piece of soft science fiction/science fantasy with one of the most interesting core concepts I’ve come across. Metaplanetary attempts to be told as a pseudo-scholarly war record assembled by an off-screen narrator. The chapters progress through the events leading up to a war between the Inner and Outer solar system regions, with each chapter containing the personal recollections of various involved individuals. These narratives are punctuated by scholarly documents attributed to various in-universe authors, describing the history, politics and technology of the setting. Waxillium is a stupid name. Okay, so you wanted to call your protagonist Wax. Fine. There are better ways to get there. Ways that don’t leave the guy sounding like a posh hair-removal process. Uh… where was I? I’m developing problems with Brandon Sanderson. Yes, I really enjoyed The Way of Kings and the first two Mistborn books, but The Hero of Ages left me with a really bad taste in my mouth. The biggest problem was that Sanderson had padded out the last book with reused scenes from the first two, and spent more time re-telling the history of the world he had built than he spent moving the story forward. 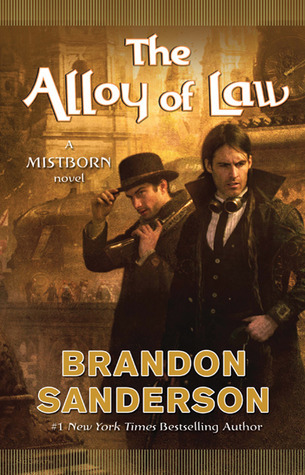 Now with his fourth Mistborn book, one separated from its predecessors by three hundred years and a canonical world reboot, Sanderson is STILL using the same damn ballroom scenes! I really shouldn’t have started the Malazan Book of the Fallen. Every book sets me another two weeks behind my reading quota and now I’m in a situation where I have to read 10 books in 6 weeks. It’s not just that the books are long, though they are. It’s the nearly insane level of detail that Erikson puts into every single protagonist. Where Neil Stephenson fills with exposition, Erikson stuffs to the brim with personal narrative. I do really enjoy the level of detail that he puts into all of these fascinating characters, but it takes me forever to work through the chapters and gods help me if I try to read before bed. Memories of Ice draws heavily upon the established continuity of the series, picking up a few months after the concluding events of Gardens of the Moon and following the other pack of protagonists that were spun off to fight the growing threat of the Pannion Domin. It is almost easier to look at the protagonists in terms of the factions they belong to. 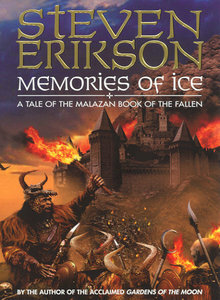 The Malazan Empire is represented by Dujek Onearm, exiled commander and former leader of the Genabackis Invasion. Under him are the Bridgeburners, who we were introduced to in Gardens and a small collection of incredibly powerful supernatural… people. The armies of Caladan Brood, who had been the Malazan’s most dangerous enemies on Genabackis, make unlikely allies against the Pannion armies, and the Tiste Andii reappear as the third leg of this somewhat unstable alliance. Having reviewed more than half of Banks’ excellent Culture novels, I’m getting to a point where I’ve run out of things to say. 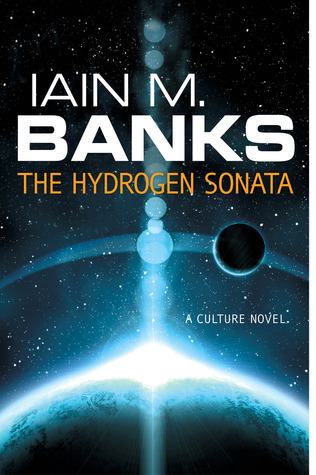 The Hydrogen Sonata continues the series’ exploration of the galactic metacivilization called the Culture with the same strong storytelling and eye for humor. The themes Banks is exploring are natural extensions of those we found in Look to Windward and Excession. Of course, the problem with consistency, even good consistency, is that it is boring to read about. The Hydrogren Sonata focuses primarily on the problems faced by a society preparing to ‘Sublime.’ If you’re not familiar with Banks’ terminology, Subliming is a process that civilizations, or extremely advanced AIs, undergo to abandon the material world and become creatures of pure energy and thought. The exact nature of the Sublime realm is appropriately mysterious, but most if not all of the players in galactic civilization see it as a natural step in the evolution of a species. Of course, removing an entire culture from the universe is far from a simple process. The Gzilt have spent centuries preparing for the transition, and now, days before they will make the transition, some unexpected problems have cropped up. Fofo’s #CBR4 Review #38: Scholar by L.E. Modesitt, Jr. In practice, there are two solutions to mental stagnation. The first is to innovate; take the established scenario or problem and approach it with new ideas or a different perspective. The second is to do something else. 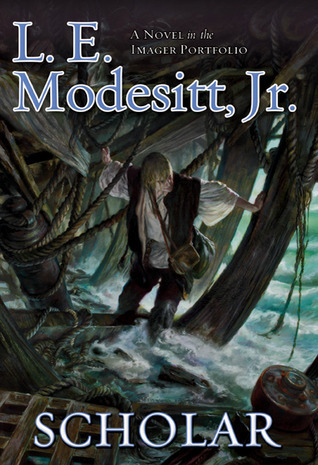 If Modesitt successfully innovated in Imager’s Intrigue, the third book in the Imager Portfolio, he is now using the second tactic, abandoning everything but the setting from book three. Scholar upends the progression of the series by taking us back to the formation of Solidar and a new/old Imager who helped create the nation that Rhennthyl fights to defend. To be fair, this isn’t a new tactic to Modesitt. He frequently abandons major protagonists, storyline events and even time periods, to inject new life into flagging series. For me as a reader, this can get a little annoying. I don’t like being kept in the dark about characters I’ve come to care about. But from the perspective of a reviewer, this methodology is kind of a blessing. Not only can it bring a new energy to a series, but I can actually talk about the plot without having to worry about spoilers. 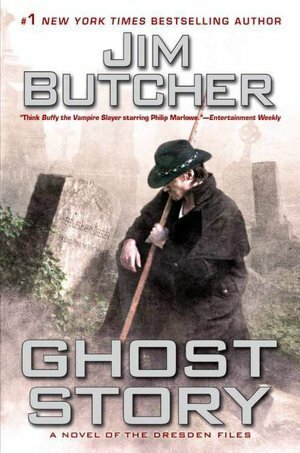 I have to give this to Jim Butcher: he knows how to drag a series past its expiration date. Changes, book twelve in this somewhat mammoth sequence, took some major risks and really shook up the Dresden formula. And ended with a hell of a cliffhanger. It was/is such a big cliffhanger that I can’t actually talk about the plot of Ghost Story at all without spoiling everything. So where does Butcher take this embarrassment of storytelling riches? Straight back into the ground. Or do I mean grind? Butcher had such a great opportunity to do something different with Ghost Story. The protagonist had been shoved conveniently off camera, and at just the perfect pivotal moment that his absence would actually have a major impact on the shape of the supernatural world. The status quo had been shattered, with all the nice power vacuum implications therein. And the supporting cast had really come into their own, putting up a sizable fight with the big bad at the end of Changes, even without Harry’s help. The setting, the book title, even the metaplot was begging for a one off novel that could focus on the people who are normally sidelined to Harry’s megalomaniacal hero complex. It could have been soooooo good! 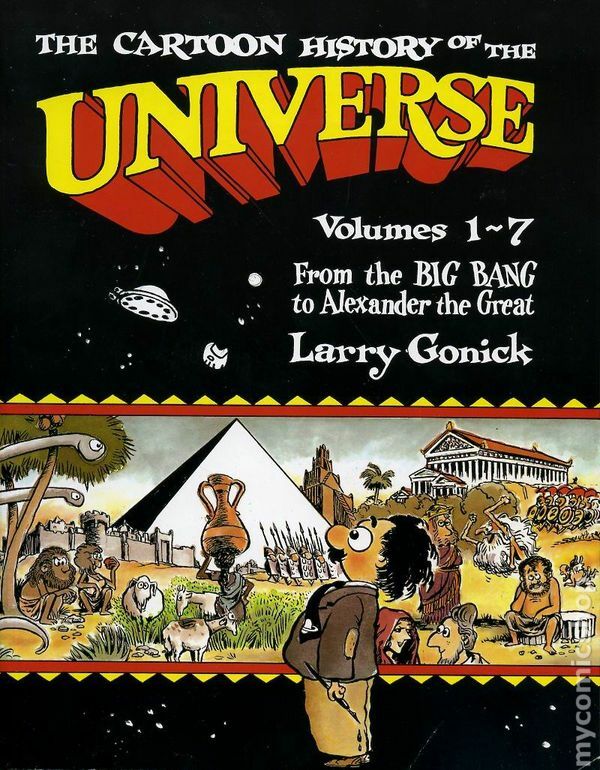 If I were being honest, I wouldn’t be able to include the first omnibus edition of Larry Gonick’s Cartoon History in this Cannonball, as I’ve read it enough to have dog ended every other page. If I were being really honest, I’d have to admit that the book was the only reason I passed my Western Civ classes in high school and college. But upon reading the second and third omnibuses, I felt it wouldn’t be fair to the series as a whole to leave out the first one that did such a good job of capturing my imagination as a child and a teenager, and instilled in me a love of history that survives to this day. As with most ‘big’ projects, it’s easier to define Gonick’s Cartoon History by what it isn’t It is not an attempt to professionally summarize the breadth of human history. Nor is it just a comic rendering of western civilization’s greatest hits. The books present a version of history that is entertaining on its own, capitalizing on the larger-than-life figures and bizarre incidents that riddle the history books. Where archaeology and recorded history fail, Gonick fills in the blanks with the mythologies and legends of the cultures he’s examining. He attempts to place these pieces of fiction within their factual contexts, such as the real war against Troy that formed the backdrop for Homer’s Iliad. The result is a ‘dried out’ version of these stories, stripped of much of the supernatural or religious trappings, but given new life in the context of history.